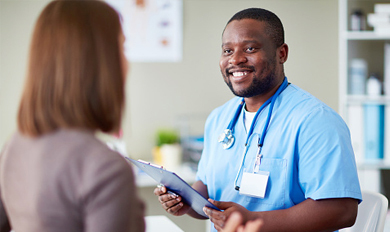 An accountable care organization (ACO) is a group of healthcare providers who collaborate to provide quality and coordinated care to Medicare patients. CCC of PA/NJ participants offer high-quality, cost-effective healthcare to consumers and beneficiaries in the community. CCC of PA/NJ's healthcare organizational goals are to coordinate evidence-based care, and improve quality and patient experience, at a reasonable cost – ensuring care is delivered at the right time. CCC of PA/NJ is a community-based accountable care organization, concentrated on delivering healthcare to the Doylestown and Holy Redeemer communities for wellness, coordination of care and improved patient experience and satisfaction. A clinically-integrated and physician-led network, CCC has more than 150 affiliated primary care physicians from a three-county region who care for more than 30,000 Medicare Beneficiaries and over 20,000 commercial beneficiaries.